1 year Anniversary of Uranus Party! It’s the Mayor’s Weekly Meeting and Dance/Karaoke Party at Chicken Bones Party Bar and Grill! 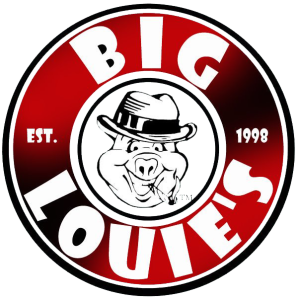 If you want to have a crazy evening of INSANE Contests, Prizes, Karaoke, Dancing and who knows what else Mayor Big Louie has up his sleeve for the night, this is the place to be. The Party starts at 6pm so you better get here early! Its the start of UFC week and this one is going to be crazy. Tonight it is a Title Fight between Dos Anjos and Alarez and you can’t watch it at home because they are only showing on UFC Fight Pass or at a Bar….and Chicken Bones is the Bar showing it in the area. 2. ULTIMATE FIGHTER 23 FINALE: JEDRZEJCZYK VS. GADELHA. Day 2 of UFC Week. We will be showing the fights w/sound on the 2 decks and inside, the TV’s will be showing it without sound so we can have the Mayor’s Dance Party going on! WOW, this is an unbelievably, awesome card. 3 Title Fights and all the other fights are BIG names too. This is the UFC PPV you don’t want to miss and we are THE place to be for the UFC! Followed immediately by The Mayor’s Weekly Meeting and Dance/Karaoke Party! It’s our FAMOUS Amateur Night! The Party Midget and $10,000 on 7/22/16MIdget Wrestling is Coming to Uranus!